Dr. Bloom started his career in industry working as an economist. He subsequently became an educator and administrator for the New York City public schools. He later joined Teachers College, Columbia University as a research director and led a federally funded project focused on answering the question, “Does increased funding improve the outcomes of urban education?” From 1983 through 1990, Dr. Bloom was a member of the administration of New Jersey’s Governor Thomas Kean, serving as an assistant commissioner in the Department of Education. He was responsible for managing many of the department’s initiatives and achieved the following outcomes: changed state-wide competency testing from minimum basic skills to higher order skills; established the first statewide curriculum content standards; initiated statewide pre-school programs; established over 20 model urban effective schools; and initiated the first high school academies for science and technology. In July 1990, Dr. Bloom began his career at NJIT, New Jersey’s public polytechnic university, as a vice president. He was responsible for growing the STEM (science, technology, engineering, and mathematics) enrollments to meet the increasing demand for such students. Since his arrival, NJIT enrollment has grown from 5,000 students to the nearly 11,500 the university serves today. To prepare students for the rigors of the STEM disciplines, particularly students from lower socio-economic households, Dr. Bloom also established a pipeline of pre-college programs for students in grades 4-12. These programs and other initiatives have resulted in NJIT being recognized among the top 25 national universities for graduating minority engineers. In 1998, Dr. Bloom was appointed as the founding dean of the Albert Dorman Honors College, in addition to his vice presidential responsibilities. The Honors College currently enrolls more than 750 scholars who come from 15 states and several foreign countries. Their combined average scholastic aptitude test score (math and reading) is over 1460, and, today, the Albert Dorman Honors College is ranked among the nation’s top 10 honors colleges. 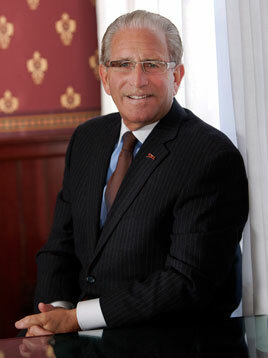 As president since 2011, using the “Vision 2020 Strategic Plan” as a guide, Dr. Bloom and his team have added a million square feet of teaching and research facilities to NJIT’s campus, appointed 120 new faculty, grown research expenditures from less than $80 million to over $140 million, received 215 patents with 70 pending, and created an NJIT corporation, the New Jersey Innovation Institute, to work with industrial partners, government entities and other universities for the purpose of economic development. NJIT’s annual economic impact on the State of New Jersey has been calculated to be $1.74 billion. In addition, NJIT was named by Forbes, the Equal Opportunity Project and The New York Times as the #1 university in the United States for the economic upward mobility of its students—NJIT outpaces all other universities in the percentage of students from the lowest quintiles of family income who rise to the highest quintiles of earnings post-graduation. Under Dr. Bloom’s leadership, NJIT has repeatedly been recognized by PayScale.com as being among the top 1% of universities in the nation for the return on investment realized by its alumni when comparing the cost of education to their starting and mid-career salaries. Dr. Bloom is the incoming chair of the New Jersey President’s Council and serves as a board member of the Governor’s Council on Innovation, the Philadelphia Alliance for Minority Participation, the US Air Force Civilian Leadership Board, Newark Alliance, and New Jersey Business & Industry Association. Dr. Bloom was recently named “Educator of the Year” by the New Jersey R&D Council and has been the recipient of other national and state education awards as well as federal, foundation and corporation grants. Dr. Bloom holds a master’s degree and a doctorate from Teachers College, Columbia University. He also earned masters and bachelor’s degrees from Hunter College of the City University, New York City.